No other group of shrubs we know has undergone such a transformation in recent years as Hydrangeas. For generations, Hydrangeas had languished as dependable, if unexciting, shrubs whose large, pale flower heads provided useful filler for the midsummer garden. Then in 2003 a Midwestern plant breeder introduced Endless Summer™, a compact, Bigleaf Hydrangea that bears glorious puffs of blue-edged pink blossoms from early summer right through into fall -- for six full months in mild-weather regions. Exceptionally hardy, Endless Summer™ grows and blooms reliably from zone 4 through 9 - all the way from Minneapolis to Houston. By entering your email you will receive a link via email to download our free eBook “How to Design Your Garden.” You will also be subscribed to receive email from White Flower Farm. The success of Endless Summer™ prompted the introduction of Blushing Bride™, another ever-blooming Hydrangea you'll find in our catalogue. It also encouraged gardeners to take another look at neglected treasures such as the Climbing Hydrangea (Hydrangea anomala petiolaris), a longtime favorite of ours, as well opening up opportunities for dramatic new color sports such as the reblooming, kaleidoscope of changing colors or Hydrangea Everlasting™ Revolution and a new generation, bicolored Hydrangea that produces striking, deep rose-and-white flowers Cityline® Mars. Fortunately, innovation hasn't affected the long-lived durability of Hydrangeas, which, depending on the type, adapt well to conditions ranging from shade to full sun. This, plus the bold textures of their foliage and their prolonged season of bloom makes Hydrangeas ideal shrubs for structuring and enclosing a summer garden. The flowers and foliage age gracefully, too, taking on rosy tints that make them one of the great, if melancholy pleasures of autumn. This variable group is beloved for its delicate clusters of papery flowers, borne between July and September depending on the variety. Some types are shrubby while others are more treelike; all bring a stately, old-fashioned feel to the landscape. Most grow quite quickly under good culture, and are long-lived. Hydrangea macrophylla flowers on old wood, and so must carry its flower buds through the winter. Early or late freezes may damage flower buds, and these buds also have a low survival rate in colder climates. For example, in Zone 5, bloom may only succeed 3 years out of 5 but the plant itself is hardy there. Fortunately for gardeners in colder zones, two recent introductions will bloom for them. Hydrangea macrophylla Blushing Bride™, Endless Summer™, and 'Early Sensation' flower on new growth as well as year-old stems, so blooms are guaranteed even after a cold winter. To view beautiful images of Hydrangeas and other flowers, visit our Hydrangeas Image Library. Climbing Hydrangea (H. anomala petiolaris) will grow and flower even in a northern exposure. This large, heavy vine has lateral branches that will grow out as much as 3ft from the supporting structure. It is superb for growing up the trunk of large shade trees, walls, or along a stonewall. The reddish brown, peeling bark is attractive in winter. Although growth is slow the first couple of years after planting, this species is vigorous once established. Blooming usually begins in 3-5 years. Light/Watering: Most varieties thrive in full sun in the North, but in the South require afternoon shade, and H. serrata 'Blue Billow' prefers full to part shade everywhere. Moist soils that do not dry out are best; do not plant in hot, dry, exposed sites. Mulch to conserve moisture and buffer soil temperatures. Fertilizer/Soil and pH: Fertilize once in spring with a formulation for acid-loving plants. Soils should be moist but well drained, and rich in organic matter. In some varieties (H. macrophylla and H. serrata), flower color is determined by the pH of the soil; at low pH (acid soils) flowers will be blue and at higher pH, flowers will be pink. Generally, a pH below 5.0 results in deep, vivid blues and as the pH rises the flowers range from blue to lavender to mauve to a vivid deep pink at pH 7.0 (neutral). The pH determines the availability of aluminum in the soil; this element is more readily available in acid soils, and this availability results in the blue flower color. Since phosphorus ties up aluminum in soils, using a fertilizer low in this nutrient will aid in attaining blue flowers. If pink flowers are desired and your soil is acid, simply add lime to raise the pH and use a balanced fertilizer. Aluminum sulfate will lower pH if blue flowers are desired. Companions: Old-fashioned tawny Daylilies are a classic combination with the PeeGee or Tree Hydrangea (H. paniculata 'Grandiflora'). Astilbes and Oriental Lilies in shades of rose, pink, and white are lovely with the shrubby Hydrangeas. Pruning: The pruning of Hydrangea shrubs varies by variety, as some flower on old wood and some on new. Remove the flowering stems of H. serrata 'Blue Billow', 'Fuji Waterfall', 'Miranda', 'Pretty Maiden', and 'Preziosa', H. macrophylla 'Big Daddy' and 'Nikko Blue', and H. quercifolia (Oakleaf Hydrangea) soon after bloom in late summer before buds are set for next season (spring pruning would remove next year's flowers). Remove deadwood on these varieties as new growth emerges in the spring. 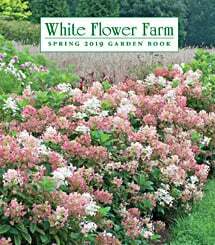 Because they flower on the current season's growth, H. paniculata 'Tardiva', H. p. 'Grandiflora' (PeeGee), H. p. 'Limelight', H. 'Pink Diamond', and H. arborescens 'Annabelle' are best pruned in late winter to early spring. Most gardeners cut stems of 'Annabelle' all the way to the ground to keep plants compact. Hydrangea paniculata 'Grandiflora' (PeeGee Hydrangea) and 'Pink Diamond' should also be pruned at this time to maintain their single stem, small tree form. Climbing Hydrangea (H. anomala petiolaris) should be pruned as needed after bloom. Reflowering: Regularly deadheading the blooms of H. macrophylla Endless Summer™ and H. m. Blushing Bride™ helps encourage repeat bloom on the current year's growth. You may cut the first flowering stems of H. arborescens 'Annabelle' and hang to dry for arrangements; rebloom may then occur in August or September. End-of-Season Care: Rake up and destroy any fallen foliage that was infected by powdery mildew or other fungi. You may wrap H. macrophylla varieties with burlap or other protective covering to help preserve flower buds through a cold winter. Early Spring: Prune Hydrangea arborescens 'Annabelle' back to the ground, and prune tree form Hydrangeas now, removing lower suckers and up to half of the older top growth. Prune out any deadwood from all varieties. Check soil pH and adjust up or down if needed for desired flower color of H. macrophylla and H. serrata. Feed plants with a fertilizer for acid-lovers. Complete any transplanting before leaves unfurl. Summer: As soon as blooms fade, remove old flowering stems from of H. serrata 'Blue Billow', 'Fuji Waterfall', 'Miranda', 'Pretty Maiden', and 'Preziosa', H. macrophylla 'Big Daddy' and 'Nikko Blue', and H. quercifolia (Oakleaf Hydrangea). Cut flowering stems from H. arborescens 'Annabelle' and hang to dry if desired. Fall: Remove and destroy any fallen foliage that was infected by powdery mildew. If desired, wrap H. macrophylla varieties with burlap or other material to help flower buds overwinter.